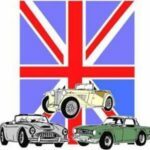 The 30th annual Indy British Motor Days will be held at Lion’s Park in Zionsville, just one block from downtown on 116th street. Your family will enjoy browsing the galleries, antique shops, specialty stores and the farmer’s market. Lunch will be available on-site, but there are also a variety of restaurants on Main Street offering breakfast and lunch. 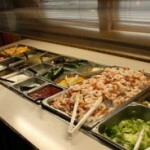 For more information on Zionsville, visit the Chamber of Commerce website at www.Zionsvillechamber.org. A full scale cruise-in sponsored by the Mid State Cruisers in conjunction with the Twin City Cruisers, Illinois Flatland British Car Club and the McLean County Antique Automobile Club. Come enjoy hundreds of classic and contemporary show cars while you stroll the streets of Uptown! 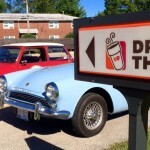 Cruise on in to Uptown with your classic or antique vehicle or just come to enjoy the beauty on Saturday August 11 from 4:00 pm- 9:00 pm. 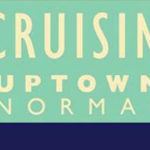 Cruisin' Uptown will have "Best in Show' trophies for the top 3 in the event along with dash plaques for the first 150 vehicles. Entertainment will be provided by the Bygones and JD's DJ service. Door prizes, food, ice cream, and refreshments will be available at event. Cruisin' Uptown is a free event for all ages. The event entrance will be at Constitution Blvd and College Ave.